Phaedon Paris is another “new to me” brand I found at Bloom perfumery in February. Originally established in 2011, the line was re-launched in 2013 under the helm of Pierre Guillaume of Parfumerie Générale and Huitieme Art fame. The collection has been expanded to 14 perfumes and now includes candles and home fragrances. 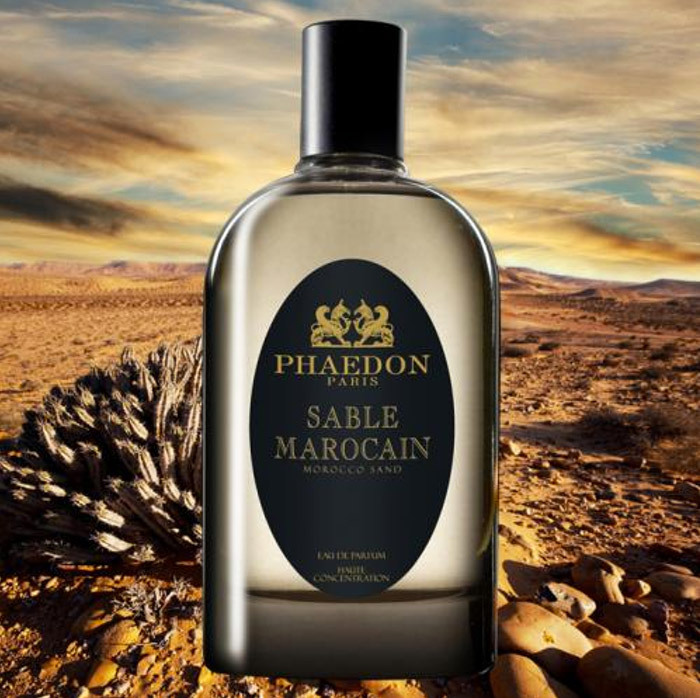 Sable Marocain (Moroccan Sand) was inspired by the Moroccan Fantasia which is an exhibition of traditional jousting on horseback performed during cultural festivals. Notes include amber, labdanum, citruses, ginger, woody notes, cocoa, vetiver, guaiac wood and copahu balm. The opening to Sable Marocain features a strong kick of sugar-coated amber. Very unusual but I’m not sure if it’s in a good way. Thankfully the ginger is not too strong – just a spicy warmth – and there is a suggestion of citrus peel. The cocoa is also underplayed which is a bit of a shame. A stronger chocolate note could have given this oriental a more distinctive character. The beginning is nothing if not interesting but its development is less so. Once the sugar has evaporated, we’re left with labdanum laid over a green, murky vetiver and it now feels decidedly masculine. This is in keeping with the macho show of horsemanship that it is supposed to represent, but it’s not my thing at all. Matters improve later in the base which is pleasantly balsamic with a little smokiness. Lentisque is named after Pistacia Lentiscus, a shrub that grows widely throughout the Mediterranean. It has a very distinctive scent and produces a resin known as mastic. It features notes of mastic, galbanum, labdanum, woody notes, vetiver and cedar. Lentisque is chartreuse green, starting off zingy and invigorating. A good galbanum note is always welcomed by me and there’s lots of it in the opening. I’m not familiar with the smell of mastic but apparently it has facets of pine and cedar. I definitely get a pine note from Lentisque and luckily it’s like pine needles rather than air freshener. The dry down retains the greenness but focuses more on a nicely fuzzy labdanum and woods. All in all, it’s not too sharp the way some greens can be, but it is rather thin and one dimensional. It lacks the sparkle of a green like Atelier Cologne’s Trefle Pur or the simple sophistication of Eau de Campagne by Sisley. 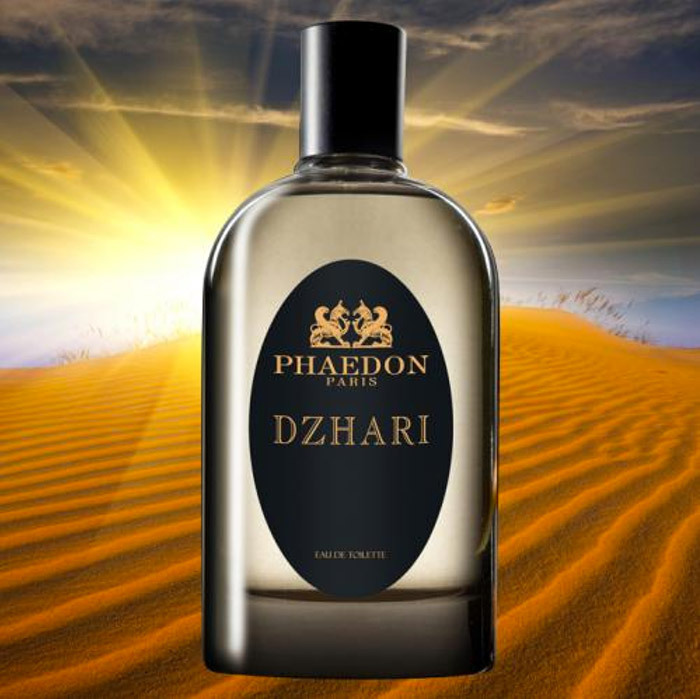 Dzhari is named after a famous wind that blows through the Libyan Desert. It features notes of Malaga wine, dates, cedar, cashmeran, sandalwood, tonka beans and accord of terracotta. When I stuck this under the nose of Freddie from Smelly Thoughts, his instant reaction was “prune juice”. I have to say however, that this was the one I admired the the most of the three. To start with it does smell strongly like dates (or prunes) steeped in sweet wine. It’s not an accord that I find personally appealing but it is distinctive and well balanced, being not too heavy or too sweet. Unfortunately this spicy, fruity, alcoholic stage fades to a whisper within just a couple of hours. It loses its potency and turns into a very light skin scent for the rest of the duration. However, it could be that the cashmeran musk takes over at this point and my nose can’t detect it. After spending some time with these fragrances, I couldn’t help but compare Phaedon with my recent experience of Arquiste. They are not badly done at all but the quality doesn’t shine through the way it does with the Arquiste perfumes. They also lack the excellent staying power and projection of that brand. I can see PG is trying to make a virtue of simplicity but I crave complexity and I don’t feel inspired to explore the line further. To be fair, this may be in part because the three fragrances I tried all had a distinctly masculine feel to them and that is a style I don’t much care for. Have you tried any of these fragrances? 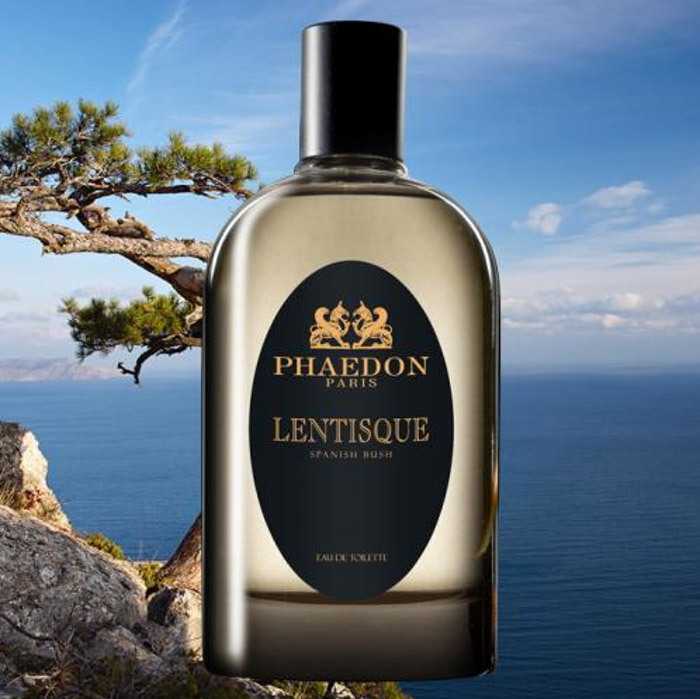 Are there other perfumes from Phaedon you would recommend? This entry was posted in By Tara, Fragrance Reviews and tagged Fragrance, Perfume, Phaedon, Pierre Guillaume, Review. Bookmark the permalink. I LOVE the roses and raspberries in Rouge Avignon. I am almost out of the thoughtful decant sent to my by a Raving Reporter who bakes cookies. Looks like I will have to buy my own bottle. Azar, roses and raspberries sounds good to me. I will be sure to check out Rouge Avignon next time. Thanks for the tip. That Roving Reporter who bakes cookies is a thoughtful and generous soul! I think I was unlucky picking out the masculine ones because that’s not my thing either. Will definitely give Rouge Avignon and Tabac Rouge a sniff, albeit a cautious one! I really enjoy Rouge Avignon. I tried the original line and they were good and enjoyable. It’s great getting feedback like this because if you see the same name popping up like Rouge Avignon, you know there must be something in it! Thanks, Sandra. Cotton Egyptien is a great green for summer, in the old bottle anyway. Hmm, that one is not in the new line-up at Bloom perfumery anyway. I wonder if it was dropped or they just don’t stock it. Shame, it sounds nice. I really like this house. I have the lovely Rouge Avignon and have ordered Tabac Rouge, which is a gorgeous sweetish tobacco scent. It’s not as ‘loud’ as Lutens Chergui and it’s really soft and nice. Perfect for men and women. I like Sable Morocain also but it’s not FB worthy for me right now. Thanks for the great comments! Hey rickyrebarco, thanks for adding your thoughts on Phaedon. You make Tabac Rouge sound very appealing. I’m still looking for my perfect tobacco and I do find Chergui too powerful for me. Try a sample of TAbac Rouge- I think you would like it, softer and really pretty. Thanks for the recommednation. I will. Lentisque absolutely is green, fresh and aromatic so it certainly fits the bill. Enjoy wearing it. I love the bottles and the clean aesthetic Tara but I haven’t found one I want to splurge on yet. I like the Huitieme art collection better, they seem to resonate with me more. I smile when I spritz the Huitiemes. I agree, Portia. I’ve been testing Poudre de Riz from Huitieme Art recently and that really makes me smile. I love that you can get a sample set of the Huitieme Art Parfums for only 26 Euro. That is really good business and marketing. Only 5 Euro extra to send to Australia! Really? Good to know. Thanks Portia. V, I still have just a couple of sprays of Lentisque left and a little of Dzhari so i’ll put them by for you. It would be nice to be reminded of happy holidays. No problem, just wish I hadn’t used so much now. In spite of your reviews being not entirely positive you made me curius about Phaedon. Strangely, I’ve never tried any of their creations. Yes, they are definitely more your kind of thing than mine. I don’t know if you have them in Vienna but might be worth a sniff if you see them. Good thinking! Let me know how you get on with them if it works out. The only perfume from Phaedon I’ve tried is Rue des Lilas. I enjoy wearing it from time to time (I bought a decant of it) but I don’t think it’ll become a bottle. I will try anything else from the brand if I come across those perfumes but I won’t be actively seeking them. Yes, I wouldn’t urge anyone to go out of their way to seek out the line but it might be worth checking out if you happen across it. Tabac Rouge and Rouge Avignon are the ones to go for if the feedback from this post is anything to go by – which I think it is! I must admit that I really struggle with Phaedon and PG in general. I’ve found a few I like in the PG and Huitieme Art ranges but none that blow me away. The Phaedon ones were all just a bit ‘meh’ to me.